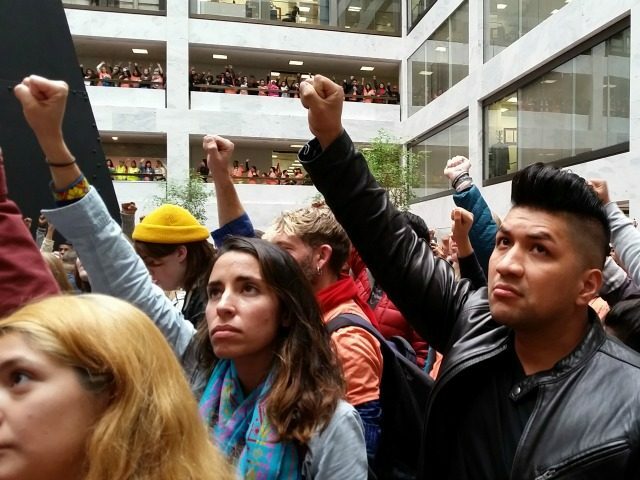 NumbersUSA’s Rosemary Jenks says Republicans are “redefining amnesty” in the age of President Trump to pass legislation that would codify President Obama’s Deferred Action for Childhood Arrivals (DACA) program into law. In an exclusive interview with SiriusXM Patriot’s Breitbart News Sunday, Jenks said Trump’s offer that includes giving work permits to about a million illegal aliens and foreign nationals in exchange for a fifth of border wall funding is, by previous definitions, amnesty. Trump’s offer to Republicans and Democrats is a plan that gives amnesty in the form of three-year work permits to a little more than 700,000 illegal aliens who are enrolled in the DACA program. The deal also provides 325,000 foreign nationals living in the U.S. on Temporary Protected Status (TPS) amnesty to remain in the country. In return, about $5.7 billion would be secured to build a barrier at the U.S.-Mexico border. Like Pence, Trump has said the plan is not amnesty. Republicans, though, for years classified Obama’s DACA program as an “executive amnesty” because it gave work permits and Social Security numbers to young illegal aliens, while shielding them from deportation. Trump’s offer does the same as Obama’s original program, except now the DACA program would be codified into federal law. “It’s hard to see what we gain for codifying amnesty in exchange for maybe getting a wall or a part of the wall,” Jenks said.